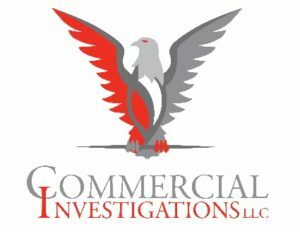 Commercial Investigations LLC (CI) is a privately held company 100% owned and operated by Michelle Pyan, Licensed Private Investigator, MBA. Since its inception in 2004, Commercial Investigations LLC has been on the cutting edge of the industry. As Founder and President, Michelle Pyan is the expert in New York State healthcare entity background investigations. 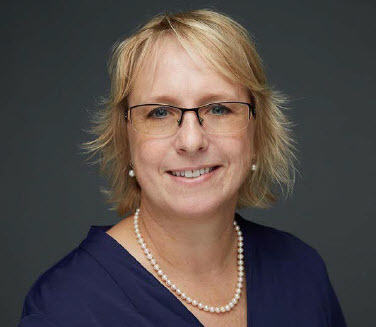 At the Healthcare Association of New York State (HANYS), Michelle started their subsidiary that ran background investigations on potential employees of member organizations for 5 years, honing her knowledge of the medical profession’s accreditation protocols and processes. Michelle opened Commercial Investigations LLC (CI) and gained several large medical entities as clients. Now a worldwide provider of background investigations, CI serves nearly 1,000 clients in 26 countries. Seventy percent of our clients are nonprofit organizations. We handle all inquiries with an investigative approach – most background screening entities do not do this. Unlike a large data broker, we utilize the “primary source verification” rule, and contact those at the source to verify all information, to positively identify the subject before next steps are taken. CI is Empire State Development Certified Woman Owned Business Enterprise (NYS Certified MWBE), a Certified Women’s Business Enterprise (WBENC), and a Certified Woman Owned Small Business (SBA WOSB) locally and nationally certified woman owned licenses private investigative agency, offering thorough and affordable background investigations. Trisha Cuzdey is an Account Executive for Commercial Investigations LLS (CI), a certified woman-owned licensed private investigative agency. Commercial Investigations LLC is a business and human resource solutions organization. The core business of CI involves background investigations – from pre-employment, to merger and acquisitions, to other types of business transactions background investigations. In addition to backgrounds investigations, CI offers Identify Protection Assessments, Applicant Tacking Systems, Employee Assessments, Drug Testing, Pre-employment physicals, E-Verify, Electronic I-9s, and more services relations to business risk mitigation. After 20 years in the field of HR working at different levels and for a variety of industries, Trisha made a career transition to join CI in Fall 2018. Being a HR professional, she understands the “pain points” in the hiring process and understands firsthand the importance of finding the right person for each job and following that up with the due diligence required to protect the organization from a bad hire. Trisha brings years of experiences to assist other organizations with their pre-employment and hiring processes by offering solutions to reduce turnover, increase retention, streamline the process to get qualified candidates in the door faster, reduce risk of civil liability, and offer HR professionals of all levels a way to free them up to conduct more valuable work. Trisha’s passion is to educate other HR Professionals and organizations about the need to find the best candidates for every position, at every level, and at every organization. When Trisha was looking to transition into a new role, “sales and business development” was not on the top of her list; however, when the opportunity at Commercial Investigations presented itself, she thought this may be a new avenue and way to work with HR professionals as a resource and partner. 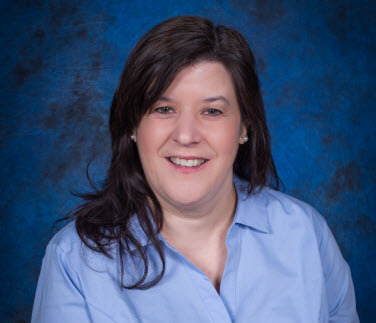 Trisha will continue to develop in both sales and business development without hindering her HR development and skills, as she currently holds her SHRM-CP and PHR certifications and will continue to stay on top of her HR development also. Trisha is a member of SHRM, CRRN, and CRHRA for her HR development and has recently joined the Malta Business Group for networking on the business development side. When not working or learning her new role, Trisha enjoys reading and working with her Therapy dog Brooke. Michelle Pyan is the owner of COMMERCIAL INVESTIGATIONS LLC (CI), a licensed private investigative agency. COMMERCIAL INVESTIGATIONS LLC is a certified woman-owned business. Michelle founded the agency in 2004 and is responsible for growing the business with a proactive approach – setting new standards in the background investigations industry. As President she is responsible for the strategic direction that assists our multi-industry client base of corporations. Commercial Investigations LLC presently does business worldwide for small, medium sized, and Fortune 500 companies, as well as not-for-profit organizations. COMMERCIAL INVESTIGATIONS LLC is a business and human resource solutions organization. The core business of CI involves background investigations – from pre-employment, to merger and acquisitions, to other types of business transactions background investigations. In addition to background investigations CI offers Identity Protection Assessments, Applicant Tracking Systems, Employee Assessments, Drug Testing, Pre-employment Physicals, E-Verify, Electronic I-9s, and more services related to business risk mitigation. Michelle is passionate about background investigations; she believes that businesses need to take advantage of all ethical, legal and available options to assure that the appropriate applicant for a particular position is hired. Michelle’s passion allows CI clients to be consistently confident with their hiring decisions. Her expertise and experience provide CI clients with the best possible services available, including accurate, timely and cost-effective investigative assistance bundled with superior service. Michelle has been examining the Fair Credit Reporting Act and other state and federal laws applicable to background investigations and human resources since 1998. 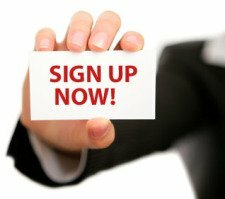 Michelle is frequently a keynote speaker to various trade and professional associations. She has led seminars and discussions concerning background investigations, payroll fraud, business risk mitigation, and more. She has also published several related articles. She is an also active member with The National Association of Background Screeners (NAPBS) and the Women Presidents’ Organization (WPO). In 2009, Michelle was awarded the Business Review Woman to Watch / Women Who Mean Business award. Michelle has been a licensed private investigator in the states of Wisconsin, Florida, and New York since 1991. She also has experience in human resources since 1993. She has an MBA from the University of Wisconsin Oshkosh and a BS from Winona State University majoring in Paralegal Studies / Pre-law. Michelle splits her time between the New York and Florida offices of COMMERCIAL INVESTIGATIONS LLC. Michelle and her husband, Bill, enjoy golf and music in their leisure time.